New Delhi, Delhi, India: Collegedunia.com, India’s leading education portal, has pioneered to become the only platform in the education sector to cater more than 80000 visitor authentic reviews for various colleges in India. Having surpassed most of the players in the very competitive education market, Collegedunia already stands firm on Google with a consistent presence in the top results. 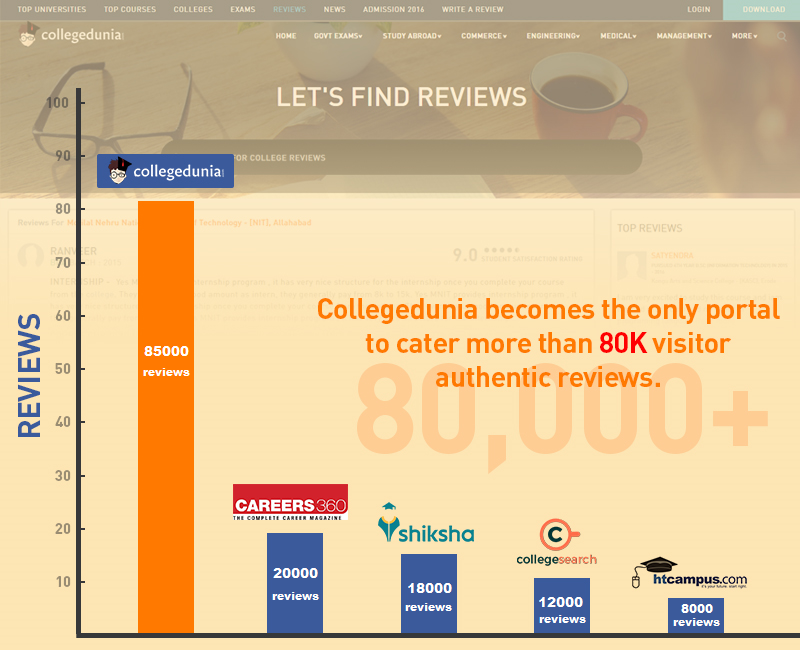 Collegedunia is set to break another record within a very short span of its commencement by becoming the epitome of catering the maximum reviews. Earlier this year, having introduced the counselling model which was much appreciated by a lot of prestigious educational institutions in India for being different and effective, Collegedunia has yet again proved that it defiantly is tilted towards a noble cause of helping students in an informed decision making. CollegeDunia, what started as an informative portal to help students find details on Colleges, Courses, Fee Structures, exams , cutoffs, admission process and more , has now evolved into a full-fledged search engine delivering credentials on almost every university/college in India. Alongside working on review management systems and counselling methods, the portal has also done its groundwork, collecting more and more amount of data to enrich its ever-growing college database.